Greek, Etruscan, & Roman Bronzes (MFA), no. 236. 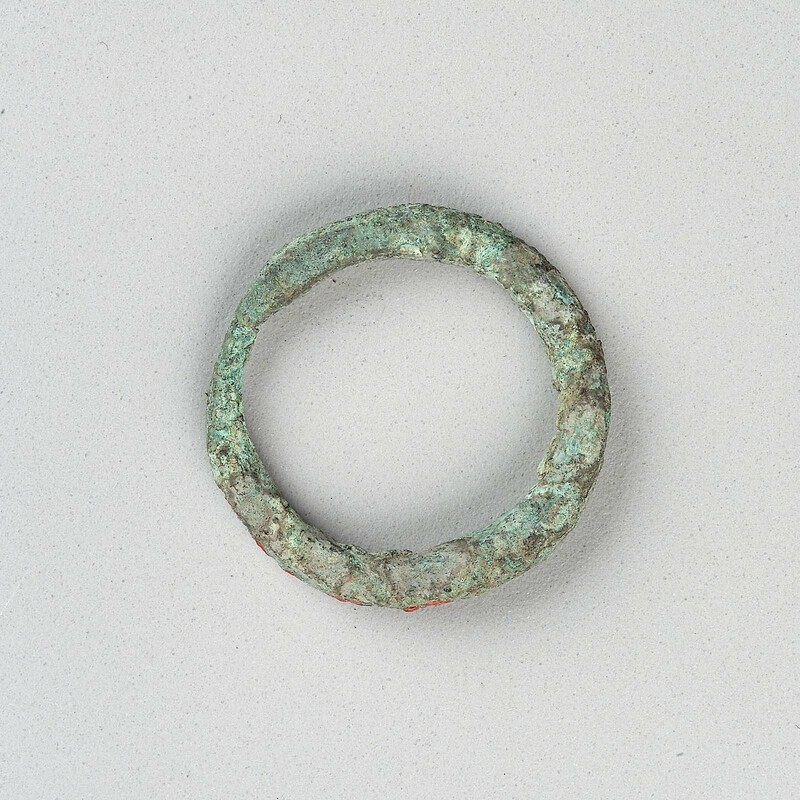 This is a plain round ring, thinner in one portion. Dull green patina.